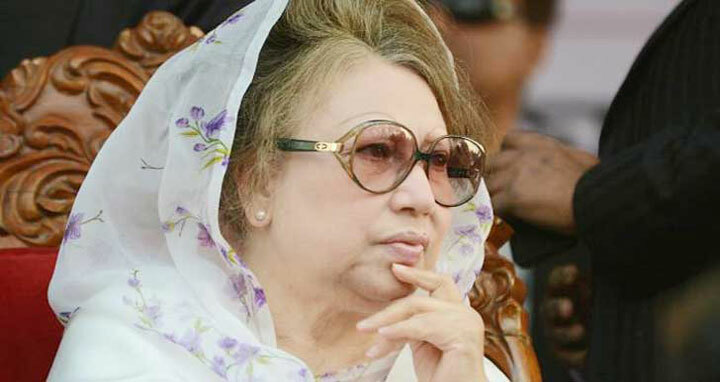 Dhaka, 13 Mar, Abnews: The High Court order granting a four-month interim bail to BNP Chairperson Khaleda Zia in a graft case remained in force as the Supreme Court on Tuesday did not pass any order on two petitions seeking cancellation of bail. Appellate Division chamber judge Justice Hasan Foez Siddique sent the two petitions to the full bench of the Appellate Division after partially hearing those. The regular Appellate Division bench, led by Chief Justice Syed Mahmud Hossain, is set to hear the petitions on Wednesday. Earlier this morning, the Anti-Corruption Commission (ACC) and the state filed two petitions seeking a stay order on the bail granted to BNP Chairperson Khaleda Zia in Zia Orphanage Trust graft case. On Monday, the BNP chief got bail for four months in the case in which she was sentenced to five years’ imprisonment.